MobLab sits down with Jeremy Heimans to talk about new power and how a shift to people-led change is reshaping the world. From Tahrir Square to Ferguson, from Hong Kong to Istanbul, it’s no secret that powerful protests are rapidly scaling up and drawing strength from increasingly connected populations locally and globally. As we’ve tracked here before, the barriers to entry for social impact are getting lower each day. As the supercomputers in our pockets become more affordable and tools to organise, communicate and fundraise increasingly more powerful, we’re seeing exponential growth in people-powered (and people-led) campaigns. This rapidly evolving landscape is dramatically affecting the ways campaigning organisations like Greenpeace think and work. It’s a valuable addition to a conversation that all too often gets reduced to assessing technology’s impact on campaigns. MobLab’s Emily Hunter recently sat down with Heimans to talk more about new power and its impact on grassroots campaigns and social change. Check out their conversation in the video below. New power challenges the status quo for every sector of society, from business to media to government, but here are the key take-aways we hope fellow campaigners and change-makers will find most relevant. Let us know in the comments what else resonates for you. Click the image above to read Understanding “New Power” in Harvard Business Review. Old power and new power not only operate differently but also represent different world views. These deeply held values, contrasted in the chart below, have dramatic implications for how organizations function today. 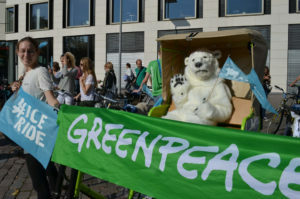 Organizations like Greenpeace that came of age before the Internet era are now made up of staff and systems that reflect a mix of both value sets, unlike new-age campaigning groups like Avaaz, 350.org, and a growing network of online progressive campaign groups that largely reflect new power values across their culture, systems, and behaviors. In our experience, these value differences can create massive organisational dysfunction OR generate tremendous power and potential if harnessed together effectively. We agree with Heimans and Timms that openly acknowledging these differences is the first step for hybrid organizations. “New power” players increasingly expect to actively shape or create many aspects of their lives. That expectation gives rise to a new set of values centered on participation. While digital natives and younger staff often embody new power values within our organisations, we do not believe there is a direct correlation between age and values. New power creates opportunity for more people by distributing access and resources across networks while engaging new people in a campaign. Crowdfunding is an example of new power at work in both for-profit and social change sectors. 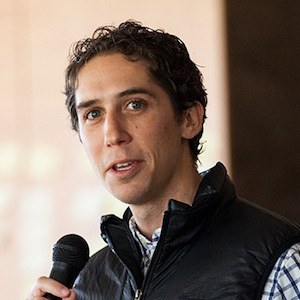 Direct and peer-to-peer giving, investing and lending – entities such as Kiva, KickStarter or WeFunder – reduces dependence on traditional institutions. The crowd, not one person or board, decides who or what to fund. There is increased opportunity for innovation and off-the-beaten path projects gain more access to resources. The downside? Crowdfunding can favor immediate results and emotional giving rather than strategic action with long-term results. The implication for most NGOs and campaigning organizations is that activists, donors, and supporters increasingly expect to be engaged in meaningful activities that are commensurate with their power and potential. What message does an organisation send to an activist or volunteer by asking for a petition signature or small, one-time donation when that same individual has just won a local campaign by mobilising thousands of others through a successful Change.org petition and/or crowd-funding campaign? It’s not just a missed opportunity for the NGO, but the organisation risks stunting its relationship with the supporter, activist, or donor when it fails to “meet this person where they’re at,” as the old organising axiom goes. While point systems have been a mainstay of consumer loyalty programs for decades (we’re looking at you, airlines! ), the tools and techniques needed for sophisticated supporter segmentation and engagement tracking is still in relative infancy within the nonprofit sector (and the subject of a forthcoming MobLab report). That said, a campaigner’s power to design open campaigns that invite more roles for more people to contribute at deeper levels is well within reach today. Social change efforts are unlikely to achieve their goals via new power alone, argue Heimans and Timms, and we agree. It’s one of our primary learnings from Occupy. New power can help mobilise new people to a cause by, in part, empowering individuals to tap larger networks and it may help identify and fund innovative ideas. But we still depend on old power institutions to deliver critical resources in times of crisis, facilitate international agreements that protect the oceans, and more. “New power models will always have limited influence and impact unless they are operating within a superstructure designed to play to their strengths,” write Heimans and Timms. 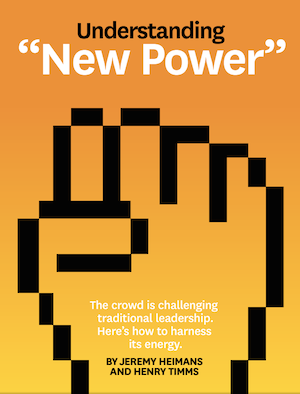 Heimans and Timms urge leaders to develop both old and new power capacities — to be “bilingual.” A bilingual campaign organization enables people outside the group to create and run their own actions while also developing leaders that can access and influence decision making institutions — they will leverage institutional power without becoming institutionalized. We see this as a defining challenge for campaigners and NGOs in coming years: how do we engage and influence old power institutions while building new power where it’s most effective? Many of the most effective Greenpeace campaigns we’ve worked on or studied represent a hybrid approach. The Act for Arctic initiative represents a current example of a campaign that attempts to engage both old and new power to achieve Arctic protection. Over 5,000 connected activists and volunteers worldwide are designing campaigns (new power) to engage influential people in their communities for the purpose of influencing the Arctic Council (old power), an international decision-making body with the power to save the Arctic.